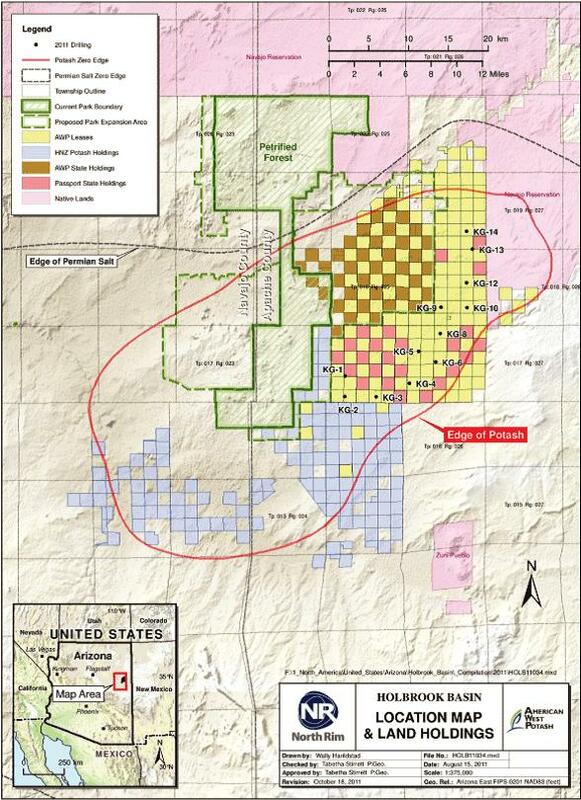 Arizona Geology: Potash mine in operation by 2014? 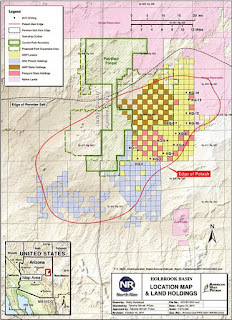 The paper also states, "By March 2012, Avery plans to begin filing applications for permits with various regulatory and oversight agencies including the Arizona State Land Department, Arizona Department of Environmental Quality, and Arizona Department of Mines and Mineral Resources." That latter reference is incorrect. The Dept. of Mines and Mineral Resources was merged into the AZGS in July but never had any regulatory or oversight duties. I suspect the reporter meant to refer to the State Mine Inspector. In another story a few days ago, the paper published a nice summary of "What is Potash?" that also included a brief analysis of world developments. And in related news, Mineweb.com published a piece by market analyst Rick Mills entitled, "Why the world's biggest miners like potash," with the subtitle, "The world's three largest mining companies are all investing heavily in the potash sector which suggests this bulk commodity has plenty of growth ahead." He summarizes the many global factors that underlie the demand for potash. One factor I have not heard before is that "Just when we need more soil to feed the 10 billion people of the future, we'll actually have less-only a quarter of an acre of cropland per person in 2050, versus the half-acre we use today on the most efficient farms," according to David Montgomery, author of the 2007 book Dirt: The Erosion of Civilizations. That means more fertilizers may be needed to increase the productivity of remaining croplands. Hope some residence wont be affected by the Potash mine. Does he mean "residents?" Sounds like some of the lawyers are already eyeing a new potential source of revenue. Sorry, for the sexist question. I should have said does he (she) mean "residents?" Seismic-hazard maps for conterminous U.S.
UA's HiView is like a "Google Mars"